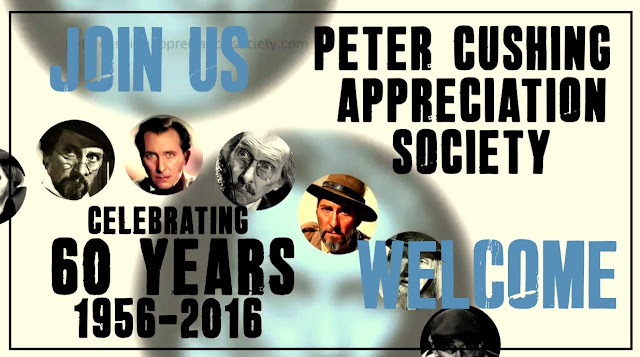 This year the PETER CUSHING APPRECIATION SOCIETY enters it's 60th year. Founded by Gladys Fletcher in 1956 for Peter Cushing fans in the UK, it's presence on the internet and now at several social media sites, now makes it a truly international platform for fans and admirers, of the life and career of the late Peter Cushing. Updated daily with rare photographs, features, prize competitions, news and galleries. Regularly working with leading publications in providing visual materials, validating memorabilia and collectables at auction houses and assisting distributors like Warner Brothers and Hammer films, to give you the best prizes and the fastest news on any dvd and blu ray releases that feature the work of Peter Cushing. Please watch our Anniversary Promotion Trailer. You can find it at our PCAS YOUTUBE ACCOUNT too! Competition and exclusive interview with Shane Briant! 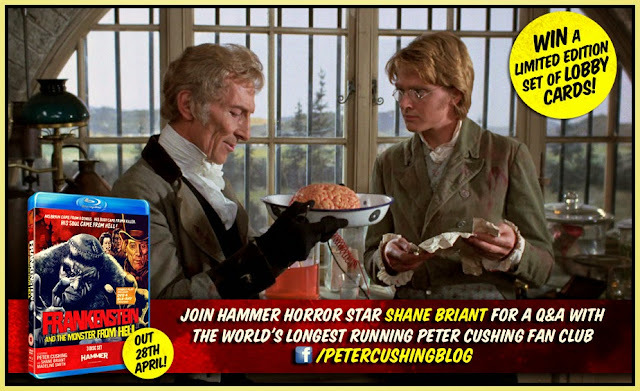 The Horror Channel has also supported our Peter Cushing promotions in conjunction with the planned releases of a Peter Cushing dvds or blu releases. 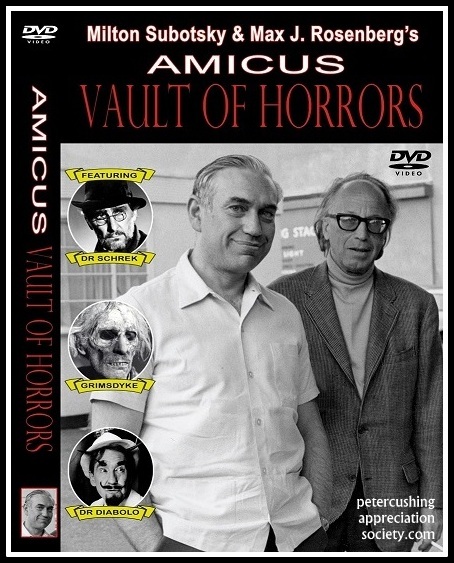 We are very proud of our relationship with dvd and blu ray distributors, major and limited releases. 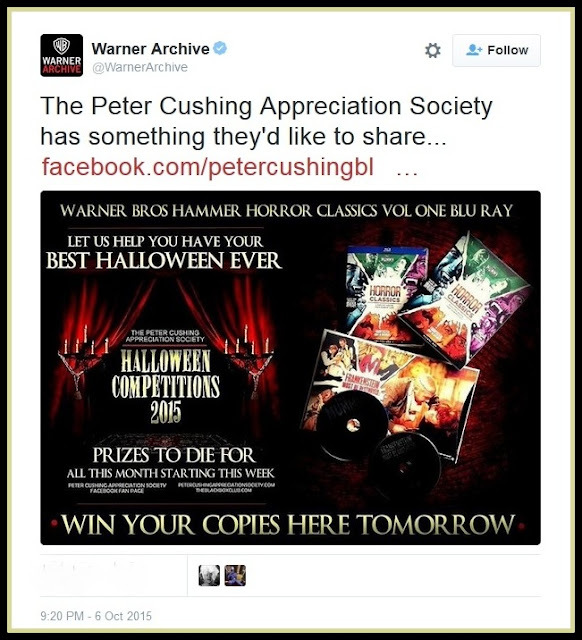 Warner Brothers chose the Peter Cushing Appreciation Society as one of only three outlets to sponsor with exclusive copies of their very successful recent release of HORROR CLASSIC, as prizes in our PCAS competition!